The Nik Collection by Google carries some of the most powerful image editing applications for photographers. 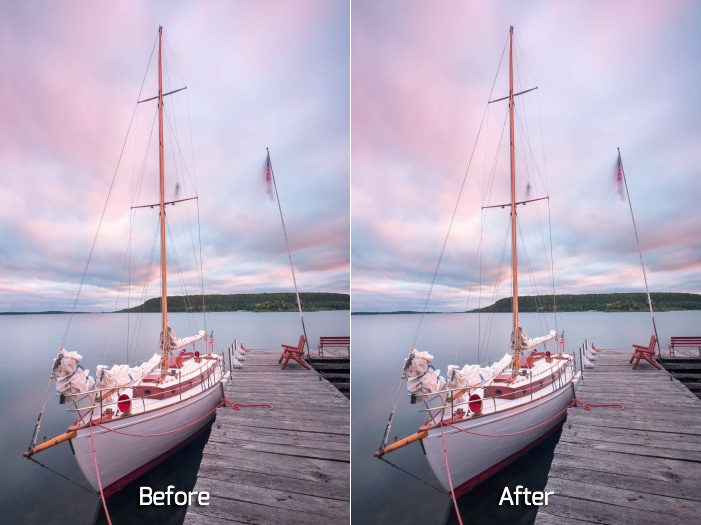 One of these applications, Color Efex Pro, has the ability to dramatically enhance the stories inside your landscape images. Out of the 55 filters available in Color Efex, there are five that I come back to using time and time again. In this article, I will show you what these essential filters are and explain how they make processing my images much less draining. 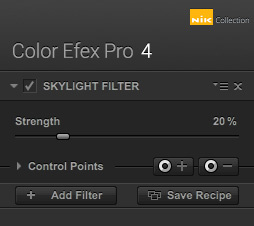 Before we dive in to the Color Efex Pro top five list, I want to point out the one huge benefit of using Nik Collection applications that comes in to play when using any of its filters or tools. While the image transformation power of Nik is great, it wouldn’t even be half as good if it weren’t for their use of what they call control points. These points are user selected, and create selections based on characteristics such as color, saturation, brightness, location, and similarities with other objects in the image. When it comes to landscape images, traditional quick masks can be a huge pain because of the inherent randomness in nature. Using control points is like masking on crack though, and it really changes your entire post-processing workflow and mentality when you start utilizing their potential. 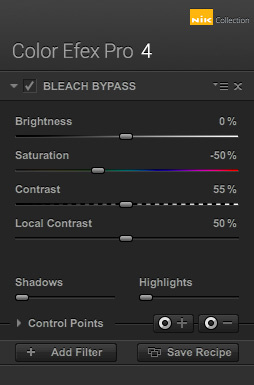 In my extensive use of Bleach Bypass, I’ve found that resetting the saturation to zero (there are better tools for color manipulation), contrast to the lowest setting of 20%, and just using local contrast and brightness on this filter in conjunction with control points is the way to go for eye-pleasing results. Foliage is one of the filters that I would glaze over when I started using Color Efex Pro. 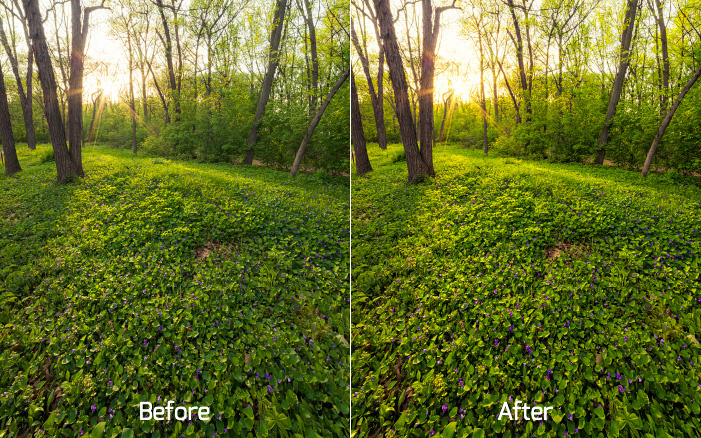 To me, it seemed obvious that if I ever wanted to get my grass or tree color fine-tuned I could open Adobe Camera Raw or use Lightroom to selectively adjust the yellows and greens. Then I soon realized how dead simple Foliage makes it to get lush greens from malnourished vegetation or even just subtle boosts of foliage color correction for any nature image. The problem with using ACR or Lightroom is that every tree and grass field is different, and masking them accurately is a huge time sink. 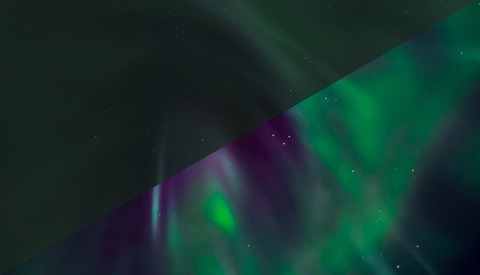 The amount of hue and saturation changes that’s needed to get where I want is always changing. With the Foliage filter, I set a control point on the foliage I want to alter and then dial in what percentage of change is needed and I’m done. 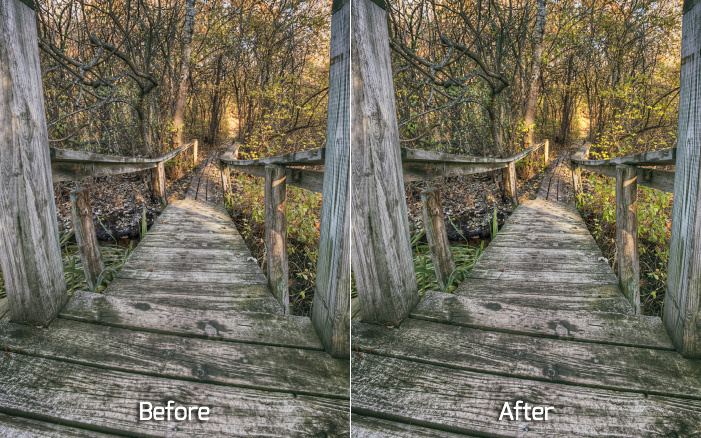 It’s a big time saver and achieves the same results that I would try for if using ACR or Lightroom. 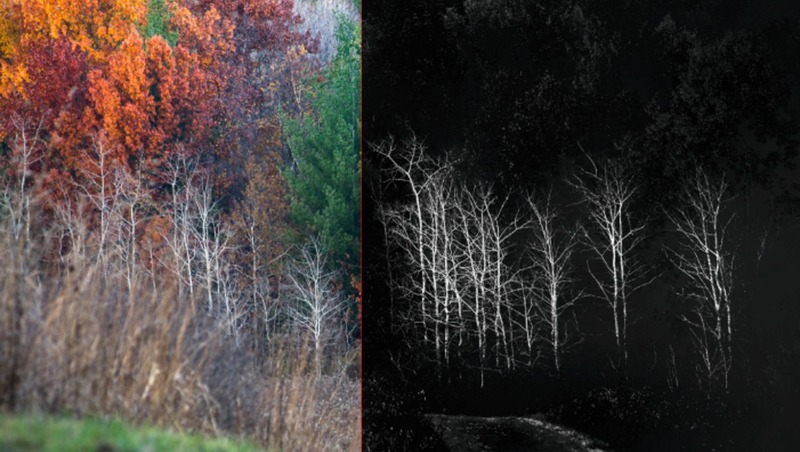 Much like the Foliage filter, the Skylight filter is another tool that can accomplish a basic task in a more innovative way. 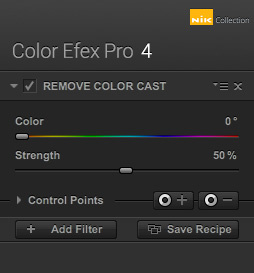 As described by Google, this filter “removes blue casts while applying an intelligent warming.” So while it only does one thing that you can already do a number of other ways outside of the Nik Collection, it again comes down to how awesome control points are. In ten seconds I can mask complex scenery in need of clean, warm sunlight versus ten minutes of quick masking in Photoshop. Perfect for fixing global adjustments made beforehand. When I mentioned in the beginning that control points will alter your workflow, this is one example of where it comes in to play. When I make changes to Raw files after importing them to Lightroom, I’m also thinking ahead to working with Nik Collection in the second half of my post-process workflow. I understand that I can get away with dramatic temperature and tint changes, or any other global color modifications in Lightroom because later on I will use Remove Color Cast on specific elements to bring them back to a more realistic look. This allows for tremendous control when shooting vivid skies because I can globally accentuate the mood of a sunset, but then bring back some truer colors to the focal subjects. 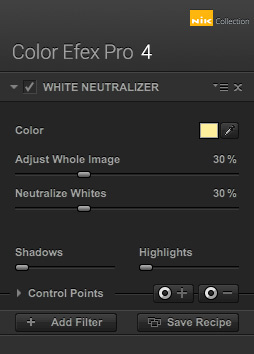 I use White Neutralizer with the same mentality as Remove Color Cast, except for the objects that I need to be whitened such as snow, clouds, white birds, white architecture, and so on. Nothing ruins the engagement of an image faster than a white object that is oddly color casted. The filter works in a slightly different way than Remove Color Cast, where now you get an eyedropper to select your affected whites. Then, the Neutralize Whites slider will adjust the intensity of correction. I tend to just use control points instead of the Adjust Whole Image slider. Also note that it’s important to balance the need for neutral tones and the reality that most white objects really do have slight color casts to them because of their reflective nature. 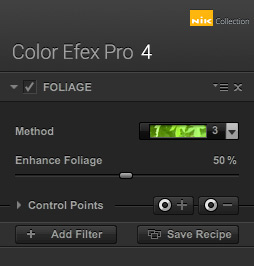 There we have it, my list of the five most used filters inside of Color Efex Pro. Obviously, if you get a bit more wild than I do in post than you likely have a totally different list. 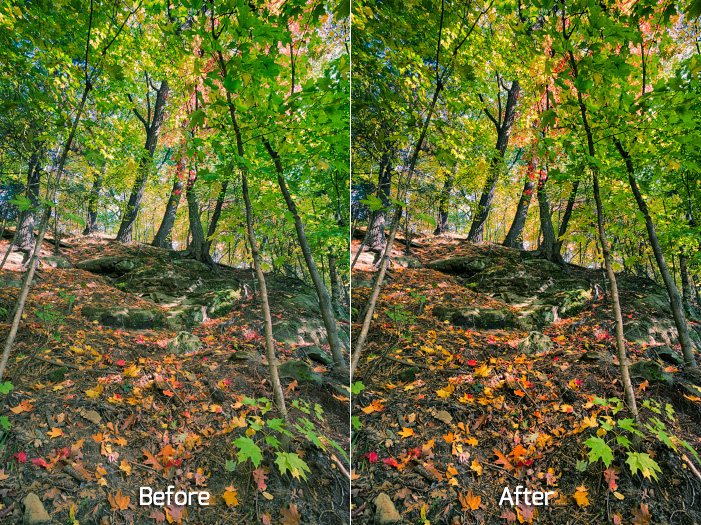 Color Efex allows for drastic changes to be made to your photographs. It’s up to you as the artist to tame these transformative filters for subtle but strong improvements, or use them unapologetically and without restraint to represent your unique vision. I’m eager to learn what filters you use the most and how you use them. Leave your insights and examples below in the comments! I'm going to guess the effects of some of these are waaaay more obvious at full size. Great article!! Now I just need to put them to work!! I do not understand control points in the Nik world. My biggest complaint about them is that they define circular regions, and the areas I want to affect are almost never circular. 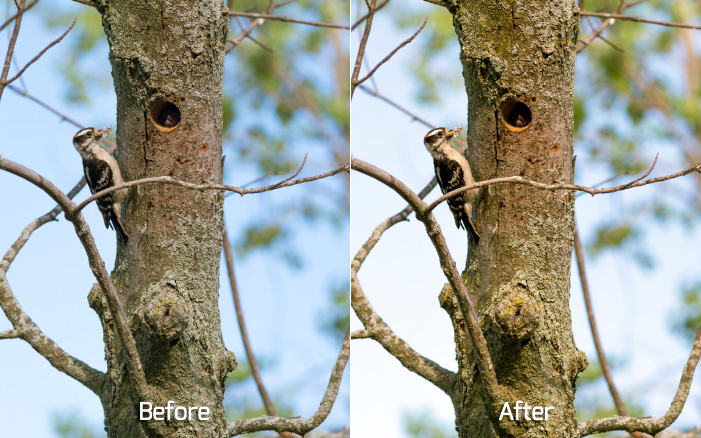 For example, for the woodpecker photo, in order to adjust the color of the trunk, I'd need to define seven or more small, overlapping control points that cover the trunk. I don't have a way to define a rectangular or polygonal area that would match it. Also, changes made to a region defined by a control point sometimes affects areas outside the control point in a way I can't predict. I'd love to see what control points you used for the examples you posted in this article. It's true that sometimes several control points are needed to even out the selection of an element in the image. Adding more control points is a breeze though when you hold alt/option and drag control point duplicates around your subject. It's certainly less time consuming and creates more realistic results over manual layer masks in Photoshop. I take care of overzealous control points by counteracting them with zeroed out control points or by using a brush and layer masks back in Photoshop. I'll work on a screencast video that better demonstrates control point usage. Great article. 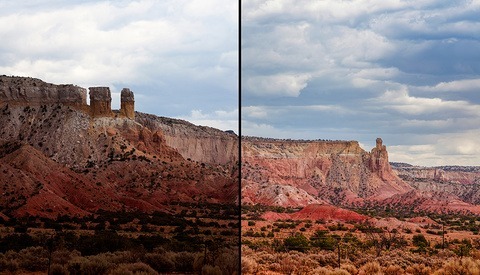 I agree with you that these are some of the best filters in Color Efex 4. Besides that, I would add the Detail Extractor, Pro Contrast, and Polarization, which also works like a charm on most photos, as long as they are not over done. As a gift to all Fstoppers use the code "NIKFstoppers" to get a 40% discount.